According to The Conference Board’s 2015 CEO Challenge®, the number one issue on the minds of CEOs is talent. Of the top five strategies CEOs report putting into place to address their talent concerns, talent development is second only to engagement initiatives. While improvement in business measures may occur soon after a talent development program, unless practitioners take steps to isolate the effects of the program on that improvement, they have no credible claim to the improvement – leaving stakeholders to wonder ‘what caused it?’ Isolating the effects of a program is a key step in learning measurement and represents one of the five types of learning analytics projects. Learning how to connect programs to results is a must if practitioners are to demonstrate the impact and ROI of their programs. This session gives practitioners tools they can immediately apply back on the job that will help them answer the question: What caused it? Sales of the latest handheld devices have been increased 150% over the last quarter. The senior executives asked the question, “What caused it?” Employee turnover has declined 20% in the past nine months. Senior executive asked the question, “What caused it?” This simple question “What caused it?” is asked frequently in organizations around the world. It is not an unfair question for senior executives to ask. Our ability to isolate the effects of talent development programs positions us so that we can answer this important question in a credible and reliable way. Our inability to answer this question, opens the door to let others answer it for us. Isolating the effects of the program is not about isolating talent development initiatives from other activities going on in the organization. Far from it. In fact, by isolating the effects of your program, you’re positioning yourself as a better business partner because you can credibly explain how you know the investments in talent development initiatives are driving results; and you can help your business partners better allocate resources to the different programs, projects, and activities in which they are investing. Dr. Jack J. Phillips is a world-renowned expert on accountability, measurement, and evaluation. Phillips provides consulting services for Fortune 500 companies and major global organizations. The author or editor of more than 50 books, he conducts workshops and presents at conferences throughout the world. Phillips has received several awards for his books and work. On three occasions, Meeting News named him one of the 25 Most Powerful People in the Meetings and Events Industry, based on his work on ROI. The Society for Human Resource Management presented him an award for one of his books and honored a Phillips ROI study with its highest award for creativity. 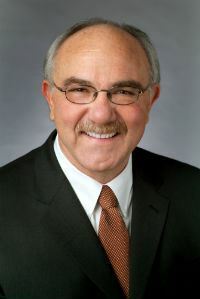 The American Society for Training and Development gave him its highest award, Distinguished Contribution to Workplace Learning and Development for his work on ROI. The International Society for Performance Improvement presented Jack with its highest award, the Thomas F. Gilbert Award, for his contribution to human performance technology. His work has been featured in the Wall Street Journal, BusinessWeek, and Fortune magazine. He has been interviewed by several television programs, including CNN. Phillips served as President of the International Society for Performance Improvement.